Younger Canadians are feeling more optimistic about their financial future than other generations, but may need to consider some harsh realities about their situation. 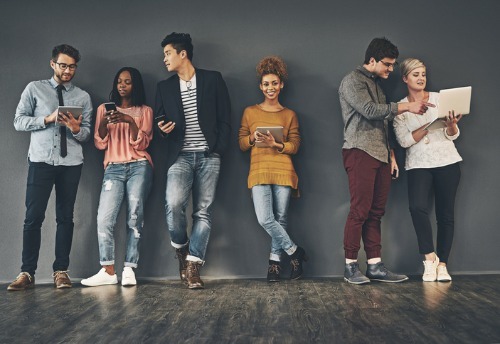 In a generational survey of more than 1,500 Canadians from Equifax Canada, 73% said they are optimistic about their financial future; that number rose to 82% among millennials aged 18 to 34. And looking at average Equifax credit scores shows that people between 18 and 24 years old, the youngest millennials of today, have an average score of 692 — better than the 681 average that people of that same age group got 10 years ago. All other age groups went through a small decline over the same 10-year time frame. Still, there are dark spots for the group. Around 35% of Canadians said they earn just enough to meet their expenses, while 17% said they can’t cover their expenses. Among the 18-24 millennial age group, 34% said they don’t make enough to cover their expenses, and 54% don’t feel they have enough information to make financial decisions. In addition, 45% of older millennials, those between 25 and 34 years old, reportedly think they have a worse standard of living than their parents had at the same age. Looking at the debt picture, Canada’s Q2 Consumer Credit Trends Report saw total consumer debt climb to exceed $1.864 trillion. Mortgage debt growth continued its increase, with the oldest age group (65+) driving mortgage volumes with increases of 59% in total trades and 91% of total balances over the past five years, according to Equifax data. When it came to savings, 75% of respondents said they were able to put away a portion of their monthly income. Forty per cent said they are saving less than 10% of their monthly income; 26% said they were saving between 10% and 25%; and only 9% said they were able to save more than 26%. Those who are earning less than $40,000 annually said they can’t save money on a regular basis. Looking at generational attitudes toward retirement, 72% of millennials said they expect to be financially comfortable when they leave the workforce. Those aged 18-24 were least likely to anticipate working well into their retirement years (34%); in contrast, older millennials between 25 and 34 were preparing themselves to work into retirement (55%). The survey also found that 29% of respondents would save a gift of $5,000, with the percentage growing to 32% among the 18-24 age group. And looking at expenses that people would cut back on, the poll found millennials were least willing to give up eating out (33%), morning coffee (13%), and Netflix (11%). Why being SRI good is "good for business"